Bhubaneswar, October 10: Continuing their tradition of discovering Odia traditions while hopping monuments and the temples of Kalingan architecture with a distinct signature of regional style, 30 visitors of the 43rd Ekamra Walks, the only guided heritage tour of the city, discovered the rituals and practices of “Habisialis’’ or people observing the auspicious “Habisha’’ during the holy month of Kartik in the Old Town area of the city. 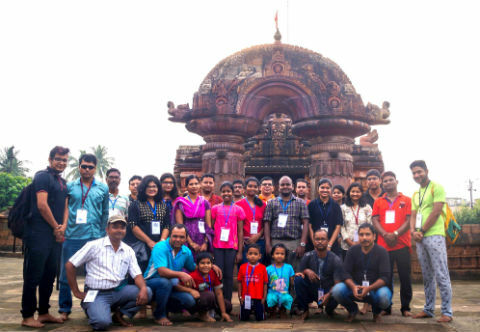 While visiting monuments starting from the 10th Century Mukteswar group of temples, which showcases its unique arch as the epitome of Kalingan temple building marvels, the walkers also encountered the pilgrims who have started arriving in the Old Town area following the onset of the Kartik month, the most auspicious month in the Odia religious calendar. The people, especially elderly women observe the month with simple food and rice, which is traditionally called as “Habisha Anna’’ or rice and continue to practice that till the end of the month. The “Habisialis’’ or people observing the auspicious “Habisha’’ generally take only vegetarian food and those strict followers with less spicy and oily alternative in a way to more focused approach towards religious discussion, discourse and reading religious texts during the month. As the visitors of 43rd Ekamra Walks proceeded today and came to the Dudhwala Dharamshala, the traditional pilgrimage lodging with a target to house religious and low-budget tourists have virtually become a centre to house “Habisialis’’ and visitors on temple “Darshan’’ tour from neighbouring states like West Bengal, Bihar, Jharkhand, Chhattisgarh and Madhya Pradesh, among others. 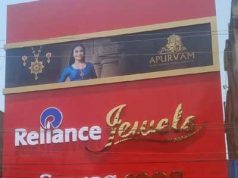 Buses from faraway states like Gujarat, Rajasthan and Uttar Pradesh have also started reaching the famous Shiva abode of the Eastern India, which once took the name of Ekamra Kshetra. Swostiprava Beura, Apupa’s friend and software engineer from Bangaluru (Tech Mahindra) was also surprised to see the beautiful monuments through Ekamra Walks. 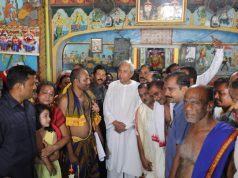 “Though I am a native of Cuttack, it was my first experience with so many well-preserved historical structures and I am really lucky to come to the heritage walk. I will definitely tell all my friends in IT industry to join Ekamra Walks and mark the difference,’’ she added. K. Shiba Prasad, an employee of Steel Authority of India (SAIL) and associated with its mines in Barbil area, took part in the 43rd Ekamra Walks and was overwhelmed with the various elements of the heritage package. “Though I am staying at Barbil, I am from Baramunda, but I had to wait such a long time to come here. I am so happy that I will definitely tell all my friends to come and join the event,’’ said Shiba Prasad. Sarat Mallik, an employee with ICICI Bank, Sriya Square Bhubaneswar came with his two kids Nitushree (8) and Swayam (5) and had a nice time as the kids also enjoyed the walk. 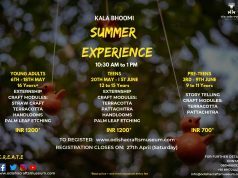 Both the kids of Dumduma teamed up with Rudra, a kid from Old Town area and a regular at Ekamra Walks and all three had a nice and memorable time together. They asked many interesting questions while visiting the Ekamra Van, the medicinal plant garden on the Western bank of Bindusagar lake. Among others, Additional Commissioner of Bhubaneswar Municipal Corporation Alok Kumar Kar joined the weekend heritage walk and also interacted with some walkers. Senior forest official Ashok Mishra briefed the visitors on the importance of Ekamra Van and the legends associated with Ekamra Kshetra and Bindusagar.